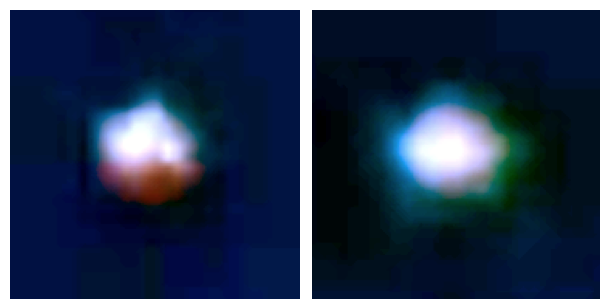 UFO SIGHTINGS DAILY: Glowing UFO During Daytime Over Philadelphia Excites Neighbourhood, April 16, 2016, Video, UFO Sighting News. 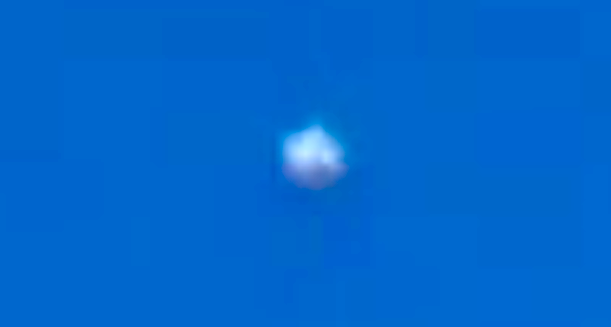 Glowing UFO During Daytime Over Philadelphia Excites Neighbourhood, April 16, 2016, Video, UFO Sighting News. Here is a cool report of a UFO over a neighbourhood in Philadelphia a few weeks ago. When I add contrast to the photo, the detail stands out more, but as I do, the sky becomes darker. You can see in the close up below, that the object is not perfectly round, but has a bit of an oval shape and a small dome on top. There is also a field around it, that looks like an electrical disturbance from the UFOs propulsion system. That also explains why a lot of UFO photos are blurry...the field around it causes that appearance. My wife and I were on our way to the Food Truck Fest at Tamproom and 19th in South Philly. We drove over there around 5:30 and parked our car on Lambert and West Porter street where they meet. After we parked our car, we start walking west on Porter and turned left and started walking north on 20th street. 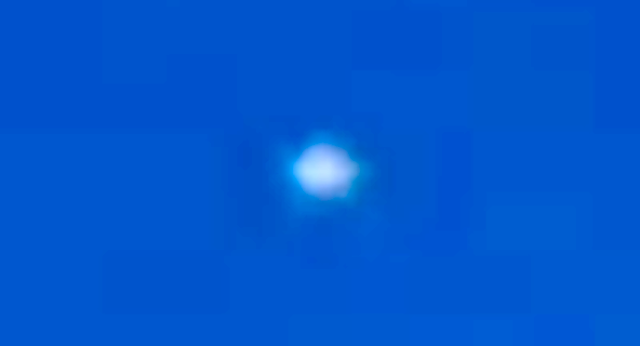 My wife made a comment about the moon being out over head and I looked up and noticed this object not moving, just hovering. This was in the broad daylight with not a cloud in the sky. My wife and I both watched it hover for about 1 minute before it appeared to first come down lower from the sky. That is why we got excited because it went from hovering to moving downwards slowly. Then it stopped again and we got more excited. Then it changed directions and started moving south east slowly and then it stopped again. That is when I took out my cell phone and I started recording it. It stayed stationary for a bit. The sun was bright and was hitting my cell phone screen and I could not tell if i was actually pointing my camera in the right direction. So I used the Moon which was to the right of the object as a reference. Once I saw the moon on my screen. I panned to the left slowly until I saw it appear as a dot on my screen. I zoomed out to give you a point of reference and you can see some buildings. Then I zoomed back as much as my cell phone camera could. I was wanting to watch this with my own eyes but it was hard because I wanted to make sure I was recording it. The object starting moving east and picking up speed, this is when I put my cell phone down because I had to see this with my own eyes. As it moved father east, it started moving faster and faster and we could tell this object was large and because of how high it was away from us and how big it looked like from where we were standing. The object moved so fast they we eventually lost sight of it. I think we were excited to see one. This time in the broad daylight. My wife pulled out her cell phone later tonight and found one other person in Philly saw one on the same day and that is how we found it on this website. I would guess it was about 10,000 to 15,000 feet in the sky but about one mile or less from us. It defiantly had a shape to it which appeared to look like a "jack" but maybe with four sides and not six. My wife drew a picture of the shape of what it looked like to us from our point of view. I'll attach it here with the video. My wife watched it mostly with her own eyes as I was recording it. Unfortunately, I wish my cell phone had a better zoom and higher definition.